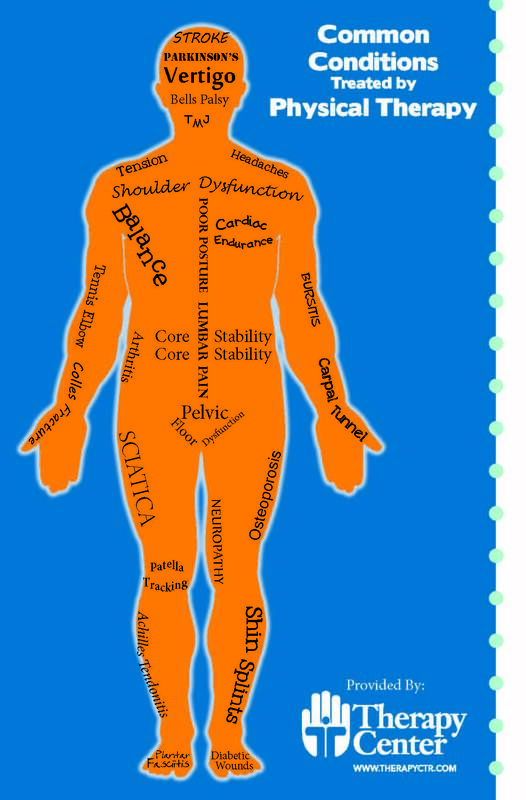 The Therapy Center | Did You Know Physical Therapy Can Treat This? Did You Know Physical Therapy Can Treat This? If you or a loved one are living with an illness or injury that has affected your quality of life and independence, contact one of our facilities today to see if you would be a good candidate for occupational, physical or speech therapy. Therapy Center provides services in all settings including outpatient, skilled nursing, home health, and inpatient settings. Visit our careers page to learn about opportunities near you.